OptiMine ® Analytics is the next generation of OptiMine® that transforms data into process improvement via predictive insights and actionable dashboards embedded into your operation management systems. The solution is provided with Sandvik digital consultancy services for mining process optimization. Improve safety and efficiency through visibility of your underground mine operations. 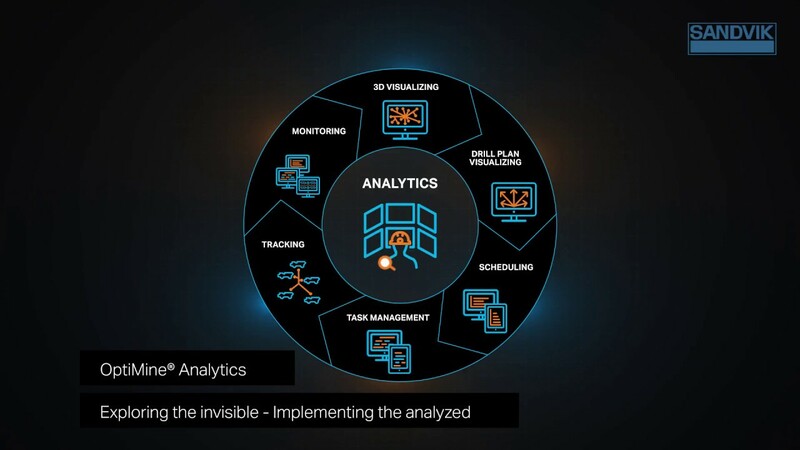 Translate insights into actions jointly with Sandvik mining optimization experts. In-shift utilization increase through insight into recurring bottlenecks. Operator competence development can enhance production quality. Utilize predictive maintenance practices to reduce the value of lost production. Digitalize your mine’s way of working, supported by our change management experts.